This past spring, I took a primate conservation course at Duke. 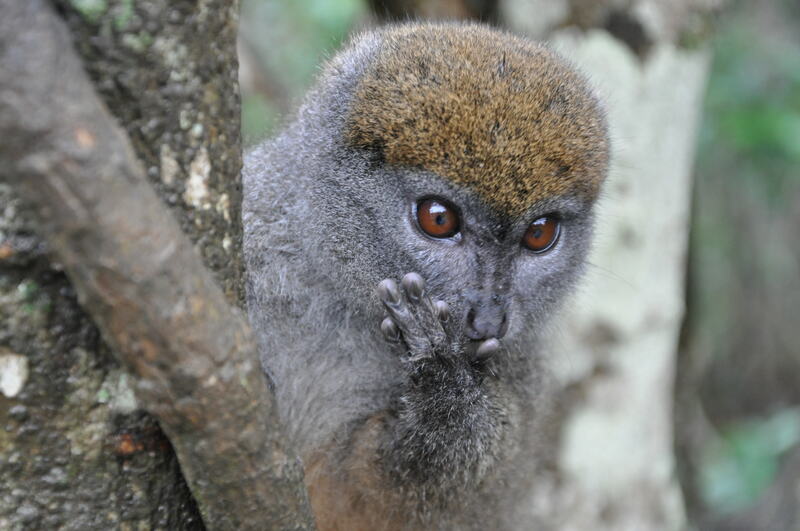 For my final paper, I chose to write about Indri lemur conservation in Andasibe National Park. Luckily, while in Madagascar I had a short period of free time to visit the same park. As it was only three days before I flew back to the states, I wanted the make the most out of the time I had left. I scheduled the trip through a tourist agency that also included a few other stops on the adventure. In total, we went to a reptile farm, Andasibe and Lemur Island. 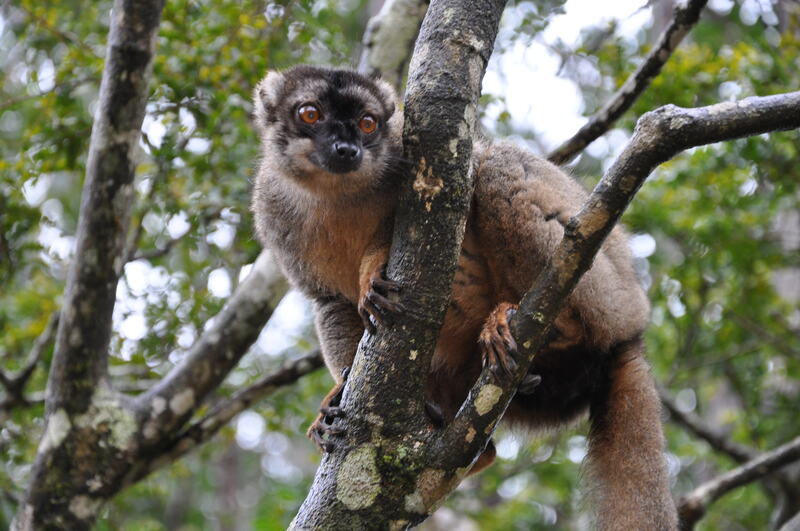 When I was back in the capital, Antananarivo, I also went to a place called Lemurs’ Park. I try to do my research before visiting highly-trafficked tourist areas to ensure the animals are treated ethically. However, I found that not a lot of information, if any, was available on some of the locations I was visiting. I chose to visit all of the scheduled destinations anyway, ask a lot of questions and then post my thoughts afterwards. 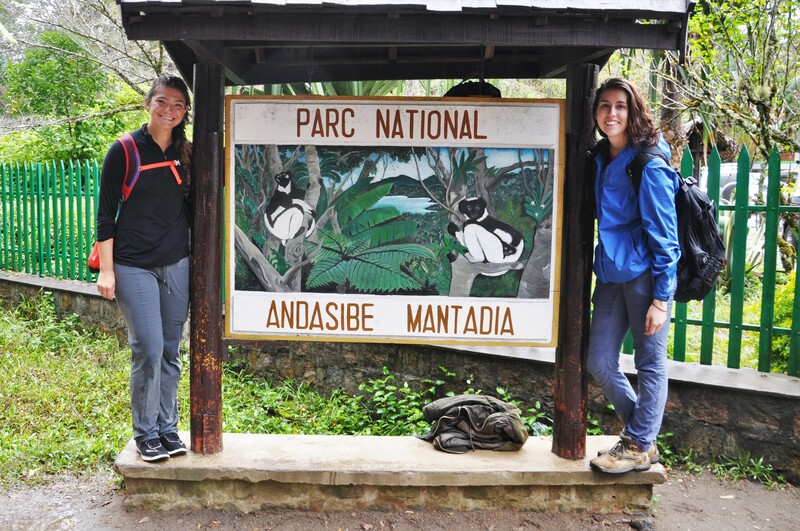 Visiting Andasibe National Park with a fellow tourist, Katie, who I had met at the hostel. When people travel, it’s easy to get lost in the excitement of seeing cute animals. I’ve seen half a dozen people in the last year post pictures from Thailand with monkeys, tigers or riding elephants. I used to get sucked into it, too, before I realized the harm it could do. I later found out that those monkeys were kidnapped from the wild, the tigers were kept in tiny cages or heavily sedated, and elephants were beaten until tame enough to ride. Many times places like this are legal but have little-to-no oversight or regulations on maintaining animal care. In Madagascar, pet lemurs are taken directly from the wild, whereas in the United States pet lemurs are legally adopted from a breeder. Though it is illegal for lemurs to be taken from the forest, the government rarely enforces those laws. Driven by poverty, owners of pet lemurs will allow you to take a photo with it for a small cost. All of this is further driven by tourists like us who support these individuals or businesses. Therefore, we have to be diligent about doing our research first before we visit. Our first stop on the trip was the reptile park where we were able to see countless chameleons of all sizes, shapes and colors. The screened-in room had lots of space and vegetation, which was a good sign. 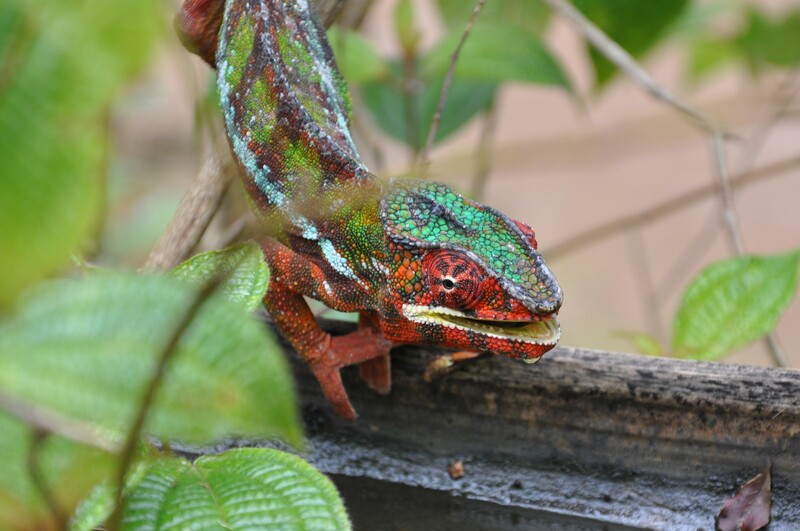 It was a good opportunity to get chameleon photos without disturbing them. I was disappointed when our guide somewhat aggressively pulled a chameleon off the branch to put on my shoulder for a photo. I really didn’t want to disturb the animal, so I put him back on the branch. There were also a lot of other tourists in the room and I didn’t want to encourage everyone to go and grab chameleons for photos. The next screened-in room contained a series of smaller screened enclosures. 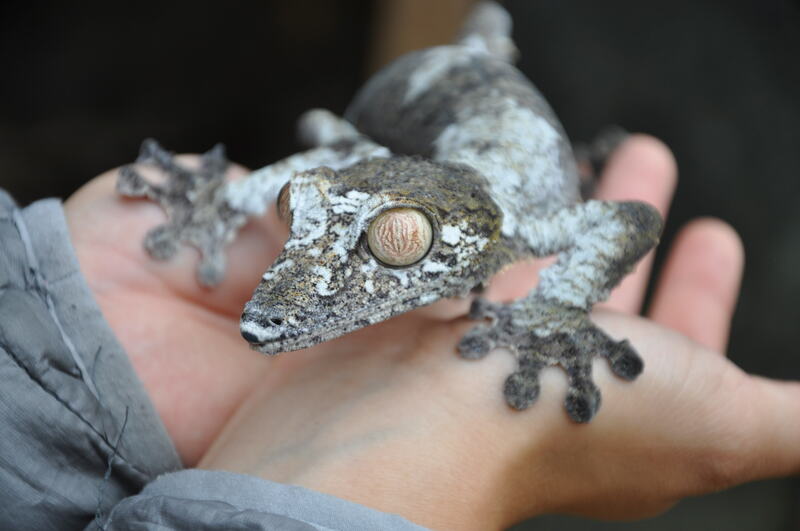 Each enclosure either had a certain type of leaf-tailed gecko, chameleon or snake. I was significantly more disappointed with the housing of these animals. The dimensions of these cages would be ideal for 2-5 geckos, but it clearly housed dozens of geckos. Considering satantic leaf-tailed geckos have a life span of up to 10 years, that is a long life to spend packed in like sardines. Many reptile websites indicate that these animals do the best when they are handled minimally, yet at this reptile farm they are handled constantly. I noticed that there were half a dozen other tour groups behind us. The guides really encourage you to hold each animal for a photo. However, people do not wash their hands before they start the tour and they don’t wash their hands between holding each animal. I am rather concerned about how often these animals have health issues from constantly being handled. It also seems likely that if one individual gets sick, it could easily spread rather rapidly throughout the entire reptile farm due to the constant contact and confined spaces. Here you can see one of the cages that leaf-tailed geckos were housed in. The next day we visited Andasibe National Park. The call of the Indri was everything I had hoped it would be after watching countless documentaries on Madagascar lemurs. Their call can be heard from 1-2 kilometers away. Our last destination was a controversial place where lemurs are restricted to a small island. No natural food sources grow on the island, so the lemurs are provided food by the staff. They use bananas to lure lemurs onto tourists shoulders for a photo. Overall, the lemurs I saw appeared to be in good health. However, a recent study found that when people are shown photos of humans with primates, they are not only more likely to want that primate as a pet, they are also less likely to believe that primate is endangered (Leighty et al 2015). For this reason, I will not post any photos of myself with lemurs. I would not want to unintentionally encourage an endangered species to be kidnapped from the wild and sold into the exotic pet trade. However, when I visited Lemurs’ Park in Antananarivo, the lemurs were given their provisioned foods in a food trough and there was no contact between humans and animals. If you have visited the Duke Lemur Center, they also provide provisioned foods in a bowl and do not allow human-to-animal contact. It was interesting for me to have this experience and be able to compare how lemurs are treated at each location. The lack of contact is good for three main reasons: 1) it helps keep lemurs wild, 2) it reduces the chances of promoting the pet trade, and 3) it reduces the potential for disease transmission. My only complaint about Lemurs’ Park is that sometimes the staff would shake the trees to get lemurs closer to tourists for viewing. I imagine that would increase the animals’ stress levels and might cause them to fear humans. Ecotourism does a lot of good. It helps people create a bond with animals, which might encourage them to help conserve them. It helps bring funding to impoverished communities and provides well-paying jobs. It helps educate both the public and the local community about conservation issues. I believe having the opportunity to share photos of rare and endangered animals helps raise awareness about their plight. There are dozens of incredible National Geographic wildlife photos that have made me fall in love with animals all over again or see them with a new perspective. There is a never-ending list of the benefits that eco-tourism can have on conservation efforts, as long as it is morally-sound tourism. Therefore, I compiled a list of reminders on how to be a good tourist to ensure you are helping conservation efforts instead of causing harm. If you are planning a trip to Madagascar, do your research! Try to reach out to on-the-ground organizations that provide volunteer experiences allowing you to better support conservation in Madagascar. Check out the Lemur Conservation Network for information on how to volunteer, or find ethical zoos or parks that benefit conservation efforts. Don’t pay for photos or to take photos. Don’t participate in feeding, touching or handling of animals – if this is an option it is best to go elsewhere. Don’t purchase animals, animal parts or plants. Don’t purchase things made from precious hardwoods (i.e. rosewood, ebony, etc). Also, don’t buy shells, coral, etc. Don’t stay at hotels that clearly have primates or other endangered animals as pets. Many hotels purchase them to lure in tourists. 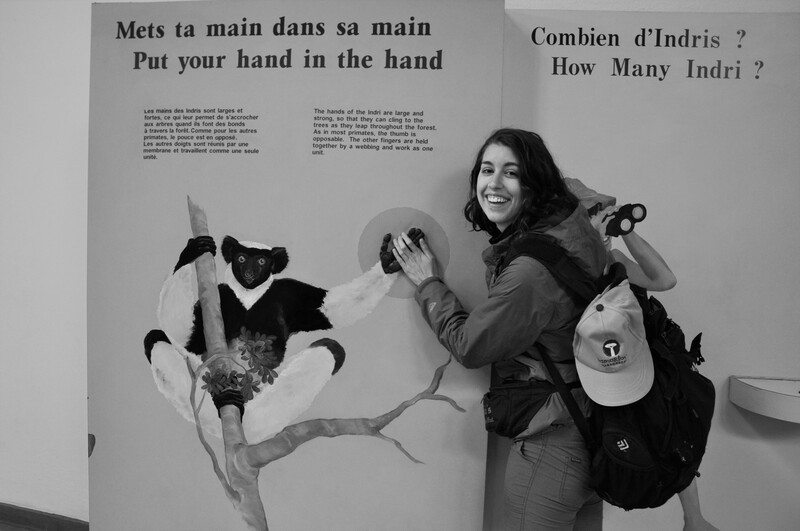 The only lemur you should touch is a picture of one! I would like to thank Tara Clarke, a visiting assistant professor in Duke’s Dept. 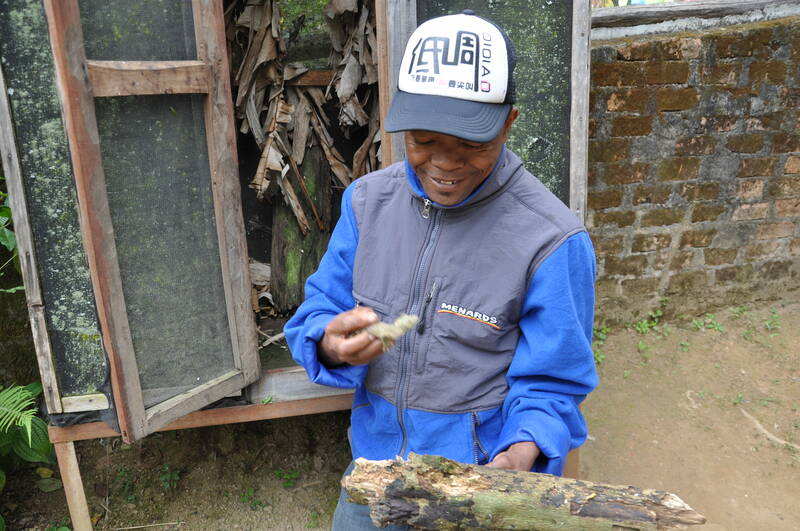 of Evolutionary Anthropology, for helping to provide greater insight and depth on the issues with exotic pet trade in Madagascar.